Nowadays, not many compilations series’ are still going strong after eighteen volumes. That is a remarkable achievement. Most compilation series seem to last no more than a few volumes. Part of the problem is constantly finding new material. All too often with compilations focusing on a specific type of music, the well runs dry after a few volumes. 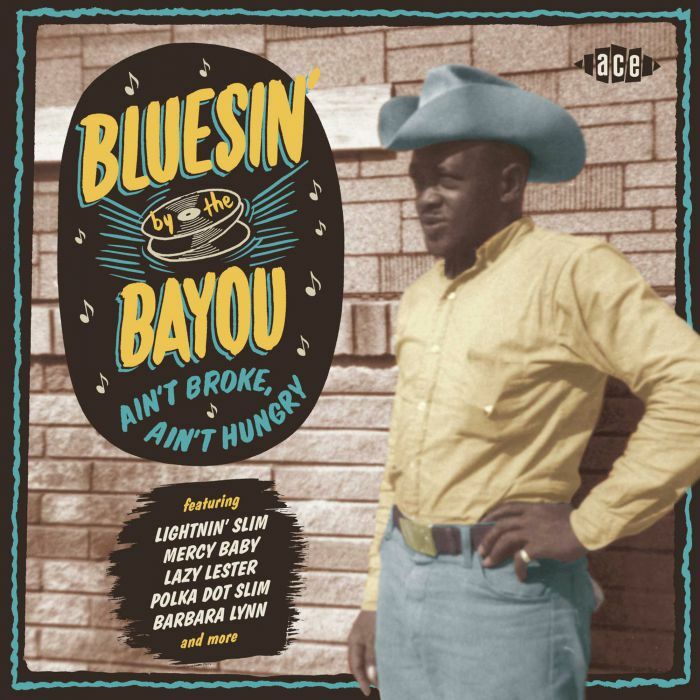 However, that hasn’t been the case with Ace Records’ Bayou series, which recently returned with the eighteenth instalment in this popular series, Bluesin’ By The Bayou-Ain’t Broke, Ain’t Hungry. For Bluesin’ By The Bayou-Ain’t Broke, Ain’t Hungry compiler Ian Saddler has headed to South Louisiana for another helping of the blues. He’s chosen twenty-eight tracks from familiar faces, old friends and a few new names. This included eight previously unreleased tracks which make a welcome debut on Bluesin’ By The Bayou-Ain’t Broke, Ain’t Hungry. Among the names that make an appearance on Bluesin’ By The Bayou-Ain’t Broke, Ain’t Hungry are Leroy Washington, Ramblin’ Hi Harris, Slim Harpo, Lightnin’ Slim, Polka Dot Slim, Lazy Lester, Al Smith, Barbara Lynn, Boozoo Chavis, Ramblin Hi Harris, Big Walter and Jake Jackson. They’re just some of the names on Bluesin’ By The Bayou-Ain’t Broke, Ain’t Hungry which is the much-anticipated eighteenth volume in the Bayou series. Opening Bluesin’ By The Bayou-Ain’t Broke, Ain’t Hungry is Mercy Baby’s Pleadin’ which was released by Ric in June 1958. This is one of four singles Julius W “Jimmy” Mullins from Rawls Springs, Mississippi released as Mercy Baby between 1957 and 1957. He unleashes an emotional, needy vocal that is a mixture of power, passion and pain. There’s a quartet of tracks from legendary bluesman on Lightnin’ Slim on Bluesin’ By The Bayou-Ain’t Broke, Ain’t Hungry. They’re alternate takes of songs first recorded by Flyright Records. Little Girl Blues is an alternate take of a track that first featured on the compilation Lightnin’ Slim The Early Years in 1976. Five years later, in 1981, Hoodoo Man, which was first recorded for Excello, made its debut on the Lightnin’ Slim compilation The Slide Years. Now thirty-six years later, and an alternate take of Hoodoo Man showcases one of the great blues slide guitarists. Another five years passed and another Lightnin’ Slim compilation We Gotta Rock Tonight was released in 1986 and featured I Hate to Leave You Baby and I Don’t Know. Alternate takes of both tracks are welcome additions to the compilation and are a reminder of one of the greatest blues of his generation. For newcomers to Lightnin’ Slim’s music, this is sure to whet their appetite and set them on a voyage of discovery. Ramblin’ Hi Harris is something of a mystery man as nobody seems to know anything about him. He recorded I Haven’t Got a Home and Baby, Baby, Baby at the same session for JD Miller. Haven’t Got a Home which features hurt-filled, despairing vocal and some blistering bluesy licks made its debut on the Flyright Records’ compilation I Ain’t Got No Money-1950s South Louisiana Blues in 1992. 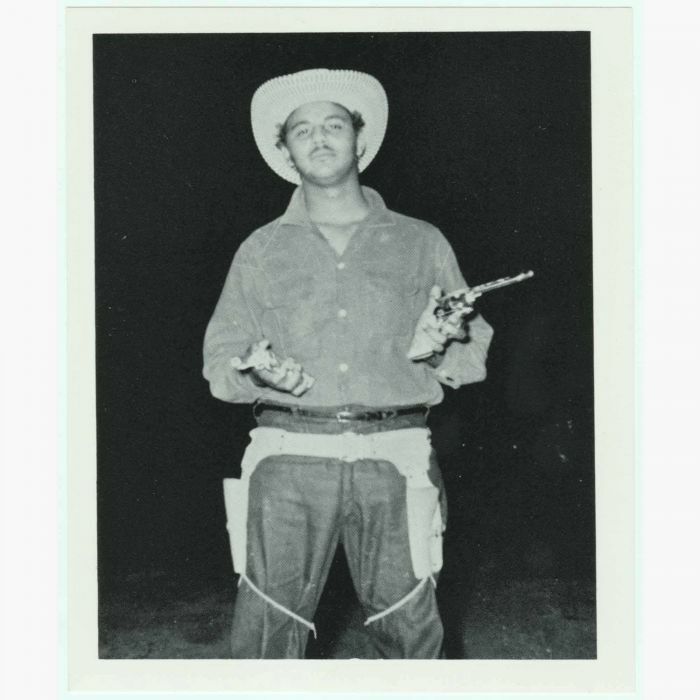 The other track, Baby, Baby, Baby has lain unreleased in JD Miller’s vaults and makes a welcome debut showcasing the considerable talents of mystery bluesman Ramblin’ Hi Harris. Slim Harpo is no stranger to the Bayou series, and was one of JD Miller’s most successful artists. Despite that, Cigarettes lay unreleased until 1985 when it featured on the Flyright Records’ compilation Baton Rouge Blues. It’s a real hidden from Slim Harpo and a song that will ring true with any smoker. The name Leslie Johnston might not mean much to many music fans, but Slim Harpo does. He’s another veteran of the Bayou series and contributes Take 6 of I’m a Lover, Not a Fighter to this volume. The original versions of I’m a Lover, Not a Fighter was released by Excello, but this version has lain unreleased in JD Miller’s vaults. That is a great shame as it features some mean blues harp and lyrics that will ring true with many men. 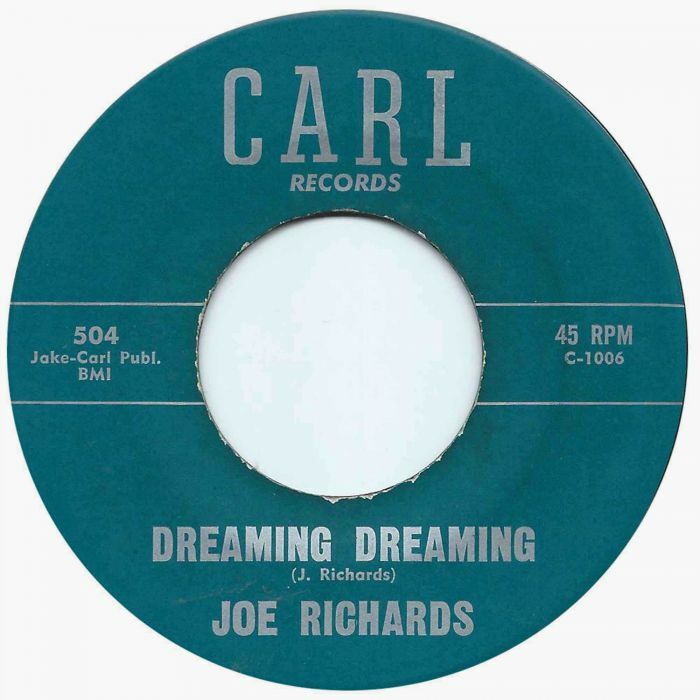 Another mystery bluesman is Joe Richards, who released Dreaming, Dreaming in 1962 using the moniker Joe Rich. Dreaming, Dreaming was penned by Joe Richards, and released on the Louisiana based T-Bird label. The single was also released on the Carl label, with the song attributed to Joe Richards. Whoever bluesman Joe Richards was, it’s a pity he didn’t released more sings of the quality of this hopeful sounding bluesy ballad. When Cookie and The Cupcakes recorded In the Evening at Eddie Shuler’s studio, just the rhythm section accompanied vocalist Huey Thierry. He had written the song, and it was just The Cupcakes’ rhythm section that accompanied Cookie on this understated, laid-back pure blues. It wasn’t released until 1976 when it featured on a Goldband Records’ compilation The Legendary Cookie and The Cupcakes. Forty-one years later, and In the Evening returns for a welcome encore on Bluesin’ By The Bayou-Ain’t Broke, Ain’t Hungry. Many record buyers remember Barbara Lynn for her 1962 R&B chart-topping single You’ll Lose A Good Thing. That was just one of a string of hits the singer, songwriter and blues guitarist Barbara Lynn enjoyed. The one that got away was her cover of Lazy Lester’s Sugar Coated Love. 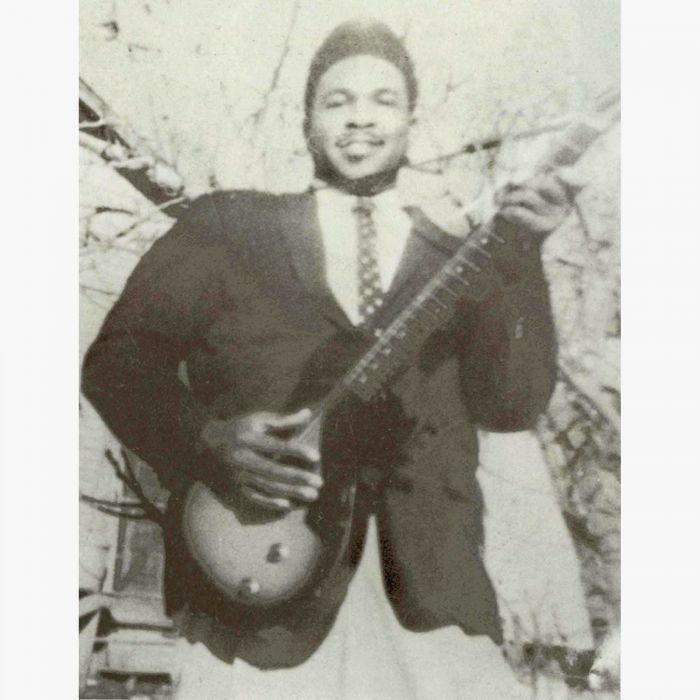 Bluesman Jimmy Anderson was born and raised in Natchez, Mississippi, where he learnt to play the guitar and harmonica. Later, in life, Jimmy Anderson moved to Crowley, Louisiana where he recorded for JD Miller’s Zynn label. By then, some people were comparing Jimmy Anderson to Slim Harpo. While there are similarities between the two, Jimmy Anderson was a talented singer, songwriter and musician who had forged his own style. That is apparent on the Jimmy Anderson composition Angel Please which was recorded at JD Miller’s studio by Jimmy Anderson and The Joy Jumpers. Angel Please was then released as the B-Side of I Wanna Boogie, which was released on the Zynn label in 1962. It was later picked up Dot later in 1962. However, despite his talent success eluded Jimmy Anderson, whose contributions Angel Please is a memorable slow, moody blues. 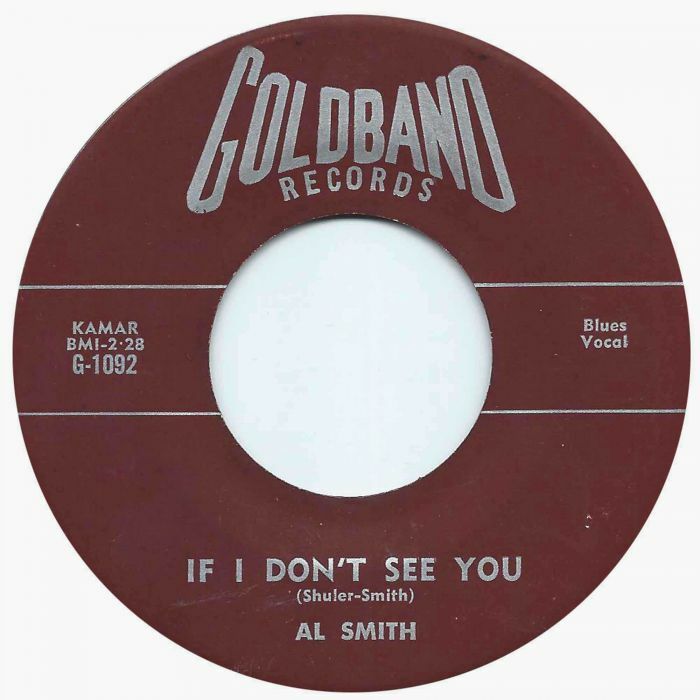 Al Smith is another mystery man, and very little is known about the singer, guitarist and harmonica player. It’s thought that Alfonso Smith was from Part Arthur, in Texas. Other people believe he may be Alvin K. Smith, from Monroe, Los Angeles. Despite the mystery surrounding his true identity, Al Smith certainly didn’t lack track. He contributes a trio of tracks to Bluesin’ By The Bayou-Ain’t Broke, Ain’t Hungry, and they ooze quality. This includes which Still in Love With You, which was previously unreleased. It’s a real find, and it sounds as if Al Smith has lived the lyrics. Al Smith’s two other contributions are I Love Her So and If I Don’t See You which were both penned by Eddie Shuler and Al Smith. I Love Her So was released on Goldband in 1959, with If I Don’t See You on the B-Side. Both sides are quality blues from another of mystery bluesman. Most blues fans will be familiar with legendary harmonica player Little Walter. Not as many people will be aware of Big Walter, who cut a number of R&B singles during the fifties. He also recorded If the Blues Was Money for Goldband, which sadly, lay unreleased for over fifty years. Sadly, Big Walter passed away in 2012, and never got to see his hidden gem If the Blues Was Money belatedly released. It’s one of the highlights of Bluesin’ By The Bayou-Ain’t Broke, Ain’t Hungry, and is a reminder of a truly talented bluesman whose music deserves a wider audience. Closing Bluesin’ By The Bayou-Ain’t Broke, Ain’t Hungry is I’m Gonna Find My Baby, which biggest mystery on the compilation. The identity of the artist in unknown, or even who played on the session. Maybe some musical detectives will able to discover the identity of the artist behind that maudlin blues, which closes the compilation on a high. Sadly, the don’t makes blues like this any more. Bluesin’ By The Bayou-Ain’t Broke, Ain’t Hungry is the eighteenth instalment in the Bayou series, which is going from strength to strength. That is thanks to compiler Ian Saddler, who continues to unearth quality music during his travels around Southern Louisiana. Time after time, he’s hit the musical jackpot as he unearths songs from familiar faces, old friends and new names. They contribute one quality song after the other, which makes it difficult to choose some of the highlights of Bluesin’ By The Bayou-Ain’t Broke, Ain’t Hungry. That is nothing new. Back in the fifties and early sixties, there many talented musicians called Louisiana home, and especially Southern Louisiana home. Some of the artists on Bluesin’ By The Bayou-Ain’t Broke, Ain’t Hungry went on to enjoy long and successful careers. Sadly, not every one of these artists enjoyed the success that their talent deserved. Their music slipped under the radar, and it wasn’t until a later date that they began to receive the recognition they deserved. By then, some of the artists had called time on their career, and were toiling away on civvy street. For them, music was now just a hobby, and they occasionally played at weekends, bringing back memories of when anything seemed possible. Other artists disappeared from the public eye, and the few singles they released are a reminder of what might have been. Very little is known about them, apart from the singles they released. A few artists were chastened by their brief musical career, and had turned their back on music. Some might not even be who they claimed to be, and recorded singles using aliases. These mystery men are all part of Louisiana’s musical heritage, which is being lovingly documented for Ace Records by Ian Saddler. He’s responsible for the continued success of the Bayou series, which goes from strength to strength. That is thanks to compiler Ian Saddler, the man behind the Bayou series, which is one of the longest running and most successful compilation series. The latest instalment in Ace Records’ Bayou series is Bluesin’ By The Bayou-Ain’t Broke, Ain’t Hungry, which features twenty-eight blues from South Louisiana. It oozes quality and is without doubt one of the best volumes in this long-running and critically acclaimed series. Let’s hope that Ian Sadler returns to South Louisiana for a followup to Bluesin’ By The Bayou-Ain’t Broke, Ain’t Hungry.